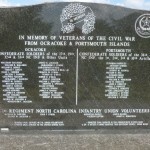 During the Civil War, a Confederate fort was constructed on Beacon Island, about one mile inside Ocracoke Inlet, and where a fort had been situated during the War of 1812. 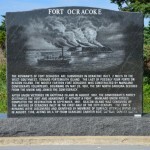 Fort Ocracoke, also known as Fort Morgan (or possibly Fort Morris), was an octagonal shape and was built by volunteers beginning on May 20, 1861, the same day North Carolina seceded from the Union. 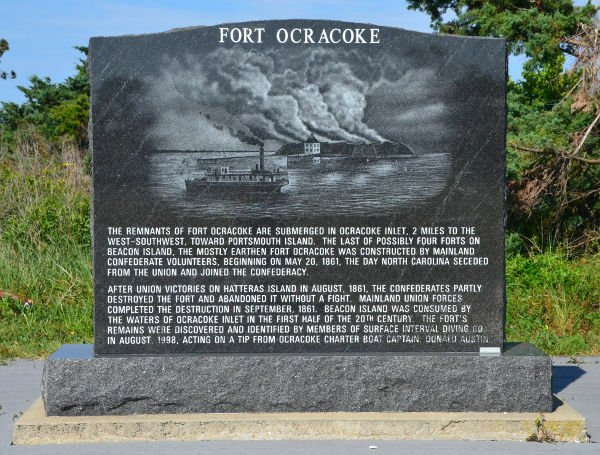 At its peak, there were about 500 Confederate troops around Ocracoke and the fort, including several hundred that were stationed on Portsmouth Island and the beaches to the south. 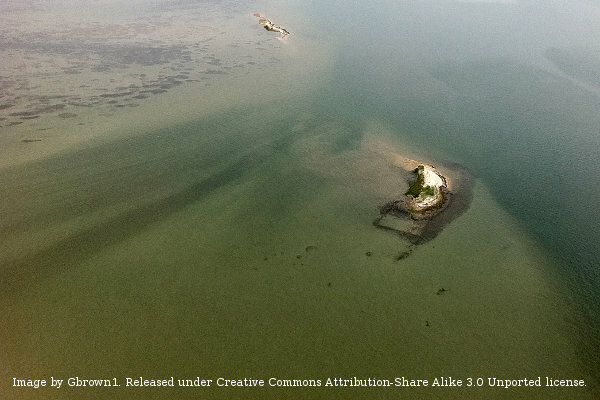 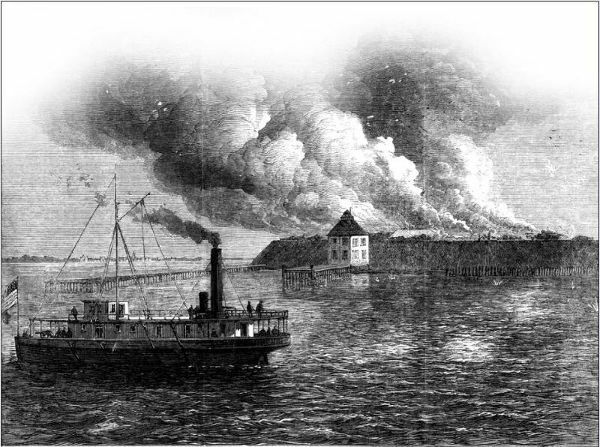 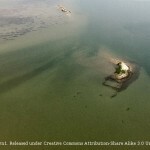 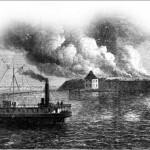 The fort was destroyed on September 17, 1861, and 135 years later, the remains were discovered by the Surface Interval Diving Company (SIDCO) because of information provided by Ellen F. Cloud, Chester Lynn, and Donald Austin. 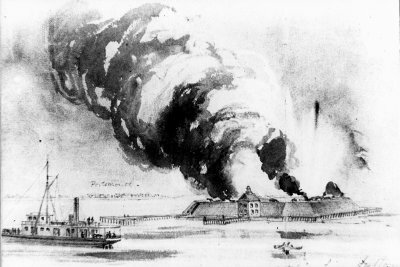 Examination of the remains showed that they were above water until they were submerged by the hurricane of 1933. 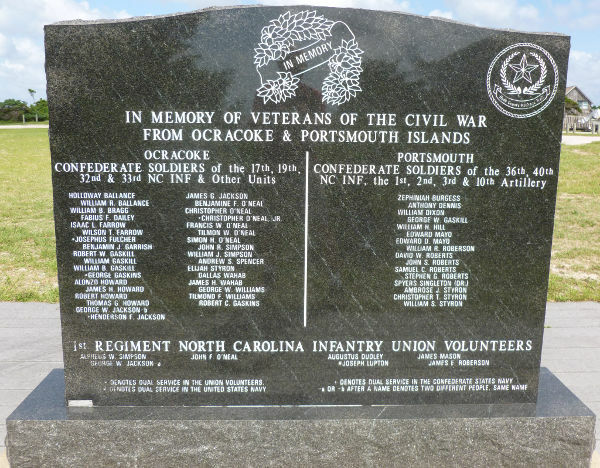 The memorial located at the end of the public parking lot near the Ocracoke Preservation Museum lists all the men from Ocracoke and Portsmouth who served in the Civil War.